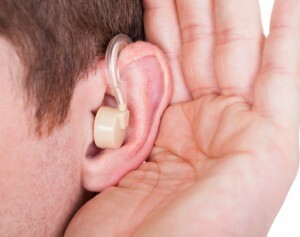 Are over-the-counter hearing aids in our future? Senator Elizabeth Warren (D-Mass) and Chuck Grassley (R-Iowa) recently announced that they will introduce a new bipartisan bill that would make certain types of hearing aids available over the counter. This would remove “unnecessary and burdensome” requirements that currently serve as barriers to many customers who could benefit from hearing aids. Statistics show that only 14% of individuals suffering from hearing loss actually use assistive hearing technology, in large part because hearing aids are too costly. This, despite that 30 million Americans experience age-related hearing loss. “Millions of people in Massachusetts and across the country experience hearing loss as they get older, but are unable to get the hearing aids they need because of high costs and complicated regulations,” said Senator Warren. “If you can buy non-prescription reading glasses over the counter, it makes sense that you should be able to buy basic, safe hearing aids, too. The goal is that by making more products more easily available to consumers, competition will increase and lead to lower costs,” said Senator Chuck Grassley. This bipartisan bill would allow hearing aids intended for mild-to-moderate hearing loss to be sold over the counter, eliminating the requirement for people to get a medical evaluation or sign a waiver in order to acquire them. The bill also asks the FDA to issue regulations for safety and labeling requirements for this new category of hearing aids. Out of pocket costs for a single hearing aid average to around $2,400, and the OTC Hearing Aid Act is designed to help consumers hit a lower price point at the recommendations of the President’s Council of Advisors on Science and Technology (PCAST). This entry was posted on Friday, November 11th, 2016 at 2:12 pm. Both comments and pings are currently closed.